A man writes a condolence message during a Day of Remembrance for MH370 event in Kuala Lumpur, Malaysia, Sunday, March 3, 2019. Five years ago, Malaysia Airlines Flight MH370, a Boeing 777, had gone missing the day before while over the South China Sea with 239 people on board. 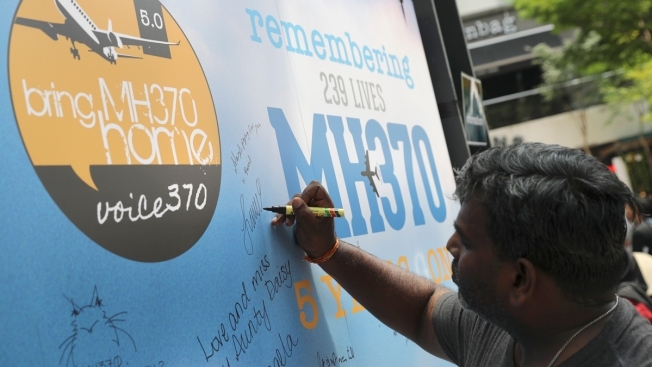 Malaysia's transport minister said Sunday that the government is open to new proposals from U.S. technology firm Ocean Infinity or any other companies to resume the hunt for Flight 370, as families of passengers marked the fifth anniversary of the jet's mysterious disappearance. Ocean Infinity mounted a "no cure, no fee" search for the plane in the southern Indian Ocean in January 2018 that ended in May without any clue on where it could have crashed. But the company's CEO, Oliver Plunkett, said in a video shown at the public remembrance event at a mall near Kuala Lumpur that the company hopes to resume the hunt with better technology it obtained in the past year. The Ocean Infinity mission came a year after an official search by Malaysia, Australia and China ended in futility. Plunkett said his company has better technology now after successfully locating an Argentinian submarine in November, a year after it went missing. He said the firm is still reviewing all possible data on Flight 370 and thinking about how it can revive its failed mission. "We haven't given up hope. ... We hope we can continue the search in due course," Plunkett said. Transport Minister Anthony Loke said it's been frustrating that the two searches failed to produce any clues and that he "welcomes credible leads and also concrete proposals to resume the search." He told reporters later Sunday that the government is "waiting for specific proposals, in particular from Ocean Infinity." He brushed off suggestions of offering rewards to find the plane, but said the government is willing to discuss proposals from any companies prepared to resume the search. "There must be a proposal from a specific company ... we cannot just be out there without credible leads. That's the most practical thing to do," Loke said. The plane vanished with 239 people on board on March 8, 2014, while flying from Kuala Lumpur to Beijing. Confirmed debris that washed ashore in the western Indian Ocean helped narrow the search area where Ocean Infinity focused, but it failed to uncover any evidence. A Malaysian-led independent investigation report released last July showed lapses in the government's response and raised the possibility of "intervention by a third party." Investigators, however, said the cause of the disappearance cannot be determined until the wreckage and the plane's black boxes are found. 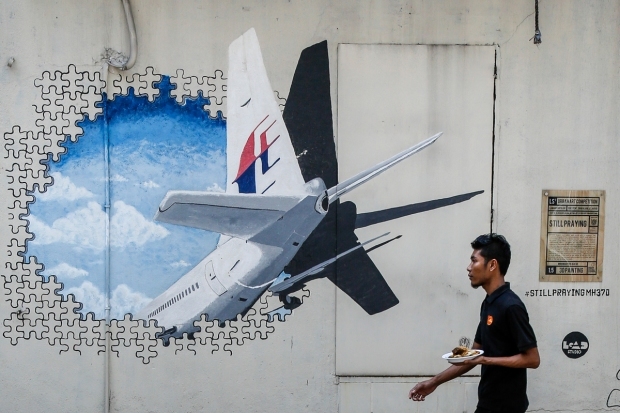 The report reiterated Malaysia's assertion that the plane was deliberately diverted and flown for over seven hours after severing communications. But it said there was no evidence of abnormal behavior or stress in the two pilots that could lead them to hijack the plane. All the other passengers were also cleared by police and had no pilot training. Voice 370, a support group for next-of-kin, expressed hope that the new government that won a general election in May last year will do more to encourage search missions and seek new clues. The group's spokeswoman, Grace Nathan, urged the government to set aside up to $70 million — the amount it agreed to pay Ocean Infinity had it found the plane — to encourage exploration companies to take on "no cure, no fee" missions so that Flight 370's passengers will not have died in vain. "It is a wound that cannot heal" if there is no closure, Nathan said. Another family member, K.S. Narendran of India, said the burden is on Malaysia's government to be proactive and not wait for credible evidence to fall on its lap. He said there has been no government effort to find more debris on African beaches and Indian Ocean islands, where scattered pieces of the Boeing 777 have been found. Two of three pieces of debris confirmed to be from the plane were on public display for the first time at the remembrance event, where family members lit candles and sang songs in tribute to their loved ones. Relatives and supporters wore light blue T-shirts that read, "It's not history, it's the future. Fly safely," as they reminded the government that the mystery must be solved to ensure aviation safety.